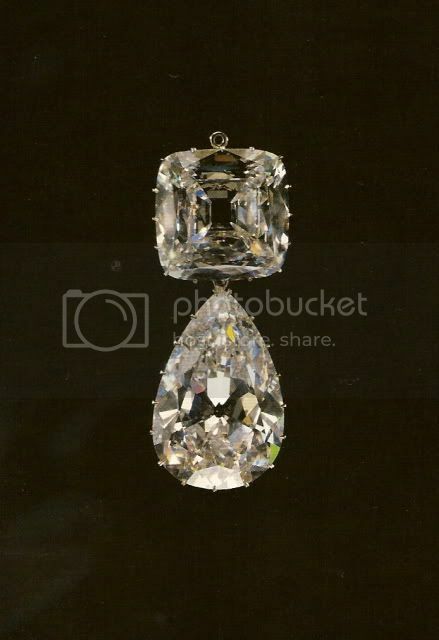 Unfortunately, the larger part of the Yusupov jewels were left behind in Russia, hidden by Felix in the palace the family held in Moscow (He describes this in "Lost Splendour," his recntly reissued autobiography.) The jewels were discovered when a servant revealed their whereabouts. "Our personnel was recruited from all parts of the world: Arabs, Tartars and Kalmucks brightened the house with their multicolored costumes. They were all under the direction of Gregory Boujinsky. This faithful servant showed the extent of his devotion when the Bolsheviks came to plunder our property. He died under the most atrocious torture without revealing to his tormentors the hiding places in which our jewels and most precious possessions were concealed. Although the fact that these hiding places were discovered a few years later made his sacrifice vain, its value is in no way impaired, and I wish to pay a tribute in these pages to the heroic fidelity of Gregory Boujinsky who remained staunch, and preferred a horrible death to betraying his master's secrets." A bolshevik era photograph of this cache (including two massive silver swans commissioned from Faberge) illustrated on page 125 of Alexander von SOlodkoff's "Masterpieces of the House of Faberge" (Abrams, 1984). Munn's great book Tiaras A History of Splendour, 2001. Prince Felix's wife, Irina (Born Princess Irina of Russia) had fortunately sent her vast collection of jewelry to Paris to be reset by Chaumet when they were exiled to the Crimea after the murder of Rasputin. When they arrived in Paris, this collection is what sustained them for many years --- not the jewelry of Princess Zinaida, as far as I know. I have also heard that several key pieces remain in the hands of the only surviving Yusupov descendant. These jewels were reset already on their honey moon in 1914. The great sunburst tiara by Chaumet, the wedding tiara of Princess Irina and the true lovers knot tiara with pearls can be seen among other tiaras in the same picture in Munn's book. What a great pity! The whereabouts of these items are unknown still today. Ok Miamia, What's your point? Is there anything you want to ask regading the jewelry? Do you know the name of the book?? The title of the book is Tamara: Memoirs of St. Petersburg, Paris, Oxford and Byzantium. It's good but not great. I wouldn't recommend it for research. Well, maybe I would, it was a few weeks ago and I can't remember too much. Does Elizabeth Taylor still own Zenaida's beautiful pearl La Pelegrine? book: "Elizabeth Taylor: My Love Affair With Jewelry." "Another highlight is the tear-shaped La Peregrina Pearl, originally discovered by a slave in the Gulf of Panama in the 1500s and given to Spain's Prince Philip II who later offered it as a wedding present to Queen Mary Tudor of England. Taylor had the pearl - another Burton gift - incorporated into a Cartier-designed ruby and diamond necklace. According to her book, however, the pearl was almost lost during a stay in Caesars Palace casino in Las Vegas, when Taylor realised she had dropped it somewhere in the deep shag pile carpet of the full-floor suite she was sharing with Burton. Terrified of telling the volatile Welsh actor what had happened, Taylor spent several hours nonchalantly strolling around the suite, feeling for the pearl with her toes. "I just casually opened the puppy's mouth, and inside was the most perfect pearl in the world. It was, thank God, not even scratched." "
Thank you for that story, Sunny! Are not "La Peregrina" and "La Pelegrina" two different jewels? I need to check my Liz Taylor book but I think that she owns"La Peregina" which had been owned by Philip II of Spain who had given it to Mary Tudor upon their marriage in the 1550's. She has a had a Renaissance style necklace made which comprises rubies, diamonds and pearls and from which is suspended this famous pearl, still with its antique mount. There were two pearls, both confusingly called "La Pelegrina" or Peregrina. The one which was Liz Taylor's dog chew was the one belonging to Philip of Spain. 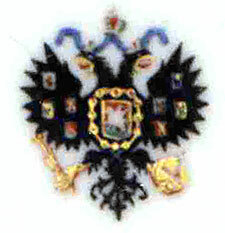 I will ask Nick to answer about the fate of the Yussupov Jewel. In fact they were two different pearls: "La Peregrina" and "La Pelegrina". That from the Yusupov collection was "La Pelegrina", Felix Yusupov simply mistook the name. La Pelegrina belonged to King Felipe IV and he gave it to her daughter Maria Teresa when she married Louis XIV in 1660. However, there is no document to confirm that this pearl was among the French royal jewels. The pearl appeared again in 1826 in the Yusupov collection. The pearl was exhibited in London in 1935 and was sold in 1953 to an european collector through the jeweller Jean Lombard, of Genevre. In may 1987 it was sold in auction in Christies (of Genevre). It reached the sum of 682.000 Swiss francs, more or less 380.000 $. The real Peregrina was suposedly found in Panama, wieghed 58 quil. and a half, and was adquired in 1579 by the King Felipe II. In those times it was also called La Margarita (Daisy), La huérfana ( Orphan) and La Sola (Unique). The pearl belonged to spanish crown jewells until the french napoleonic troops invaded the coundry and looted them. Jose I Bonaparte should took it , for when he returned to France in the 1840s after being living in the U.S.A he had the pearl with him in 1844. He gave to pearl to the ex queen Hortense of Holland for she to support her son´s(the future Napoleon III) political activities in France. He sold the pearl around 1848 to the then marquis of Abercorn. In 1914 the Peregrina was offered by the jewellers R.G. Hennel and Sons to the King Alfonso XIII, but he could not afford the high price and was bought by the billionaire(?) Judge Geary, who would sell it in 1917 to Henry Huntingdon. In January the 23th of 1968, the Parke Bennet Gallery of New York sold the pearl in auction (lot 129). It was then that Richard Burton bought it for 37.000$ as a present for Liz Taylor´s 37 birthday. At this point came the discussion, for the day after the auction the Duke of Alba, then master of the household of the Queen Ena of Spain, said that the pearl sold was not the Peregrina, since the Peregrina was still in the queen´s collection. The confussion came because Alfonso XIII gave Ena in 1906(for their wedding) a brooch with a pearl that she thought was the Peregrina. The brooch was realized by the jewellery Ansorena. The wife of the jeweller Ansorena testified that her husband knew exatcly which jewells the Queen owned and that he had never seen the Peregrina, and there was never a pearl by that name in the Queen´s collection. So it´s most likely that the real pearl, in view of the documents and testimonies is that of Liz Taylor. Very interesting information, and I'm sorry for the misinformation. I got it, and the two pics, from a website I once found on a google search but cannot find the link to now. It also said that in the picture Zenaida is wearing 2 famous pearls, one right side up and one upside down on her tiara. So Ena got a fake one? Well, it was not a fake in the true meaning of that word. It´s simply that her husband bought the brooch for her and she spent her life thinking that it was the Peregrina. Ena´s pearl was also wonderful but had not the historical value of Liz´s pearl. It sounds quite ironic, isn´t it?